A large part of the rich cultural heritage of the Onitsha people of South Eastern Nigeria is embedded in their art and craft. 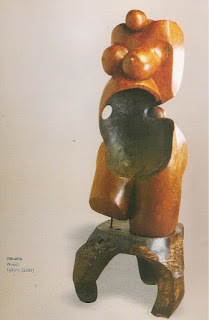 They have good authority in sculpting and sophisticated traditional paintings. For them, it is a way of life through which they continue to document their history. 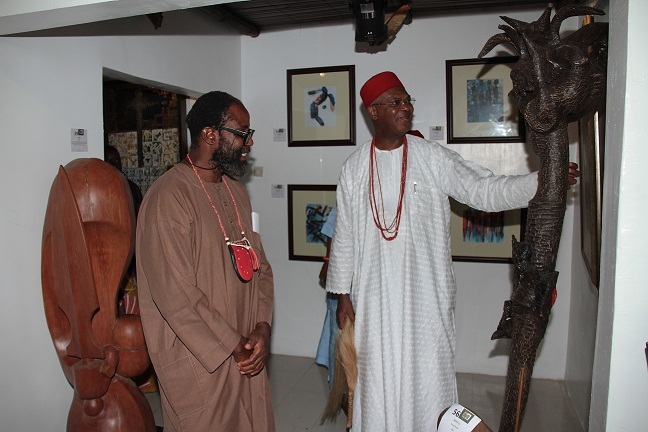 In showcasing his exhibition titled Ambivalence in NIMBUS gallery, Lagos, Emmah Mbanefo, an Onitsha son, used his collection of paintings and sculptural pieces to bear in its totality, the essence of Onitsha culture and tradition. 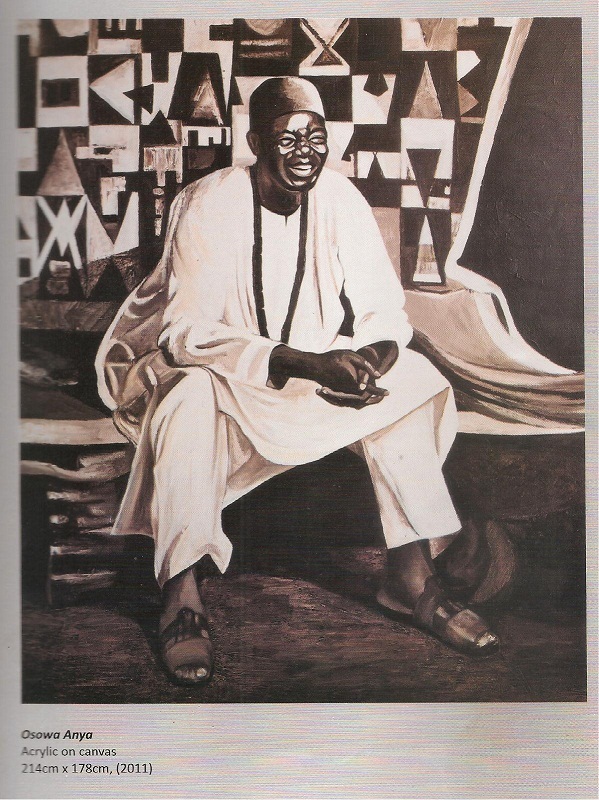 Mbanefo simply shows through his works that he has been at the ancestral learning school of his Onitsha stock, which he shares with some masters of the arts like late Ben Enwonwu and Osaloka Osadebe, and has held on to his natural mould of the environment within which he was born and raised. The exhibits on display are eye-catching and soul-satisfying. The life-size works show every detail, leaving the art lover with a sense of satisfaction. Call it bright and beautiful, and you will be true to how much mastery of colour blend and technical application that Mbanefo has put into his works to capture real aesthetic values. The deeper and unique qualities of the works are found in their origins and how well they pass across messages that the people understand and appreciate. 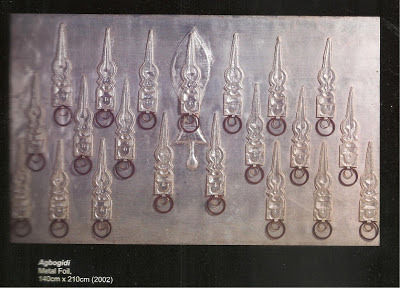 In ‘Ambivalence’ Mbanefo starts this uniqueness with the titles of the works. He has done this on purpose to engage fellow Igbos on a platform that they equally know, likewise engaging non-Igbos, helping them find understanding of the priceless worth embedded in Igbo cultural heritage. 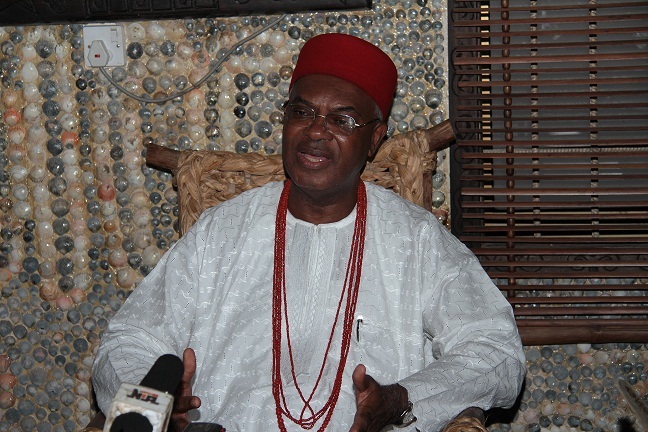 From such titles as Agbogidi, Nze Amaka, Mbanefo tells imperial stories. The Igbo culture holds the traditional ruler in high regard and he has crafted this masterfully to the appreciation of all. No ‘make believe’ in all of this, because they are realities as known to the artist. From traditional African folklores to contemporary realities, Igbos reverence mothers. 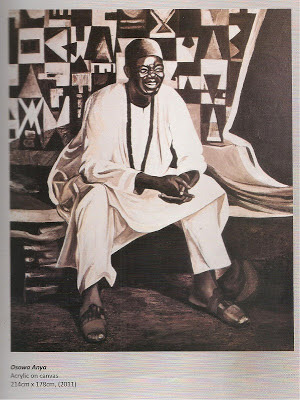 Yes, it is a fact and Mbanefo has done well to make a good mark about mothers and motherhood with some of his creations. In Nne, Oma, Nwanneka and Omumu, he creates nostalgia about mothers and the warmth and life that come with their being. He is able to share the importance that is attached to maternal relationships and all the light that mothers bring into families through their strength to nurture. One beauty about works of art remains the fact that they appeal differently to individual art appreciators and allow for personal interpretation. 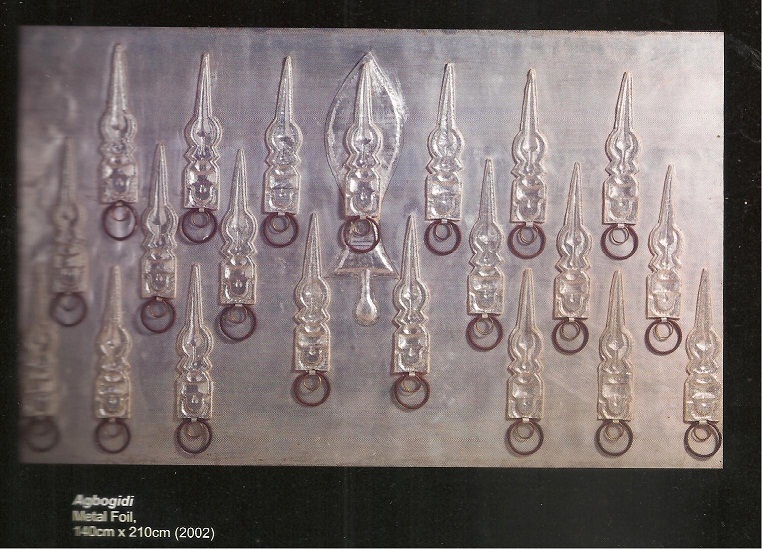 One of the works in the collection titled Nwa Ugo, expressly showcase the artist as the ‘preacher’ of good values. 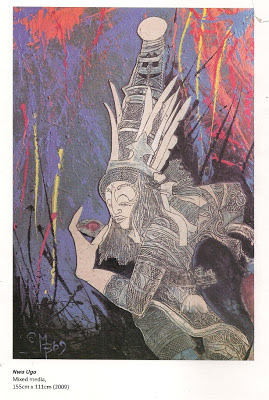 He saw the value of purity and has through his art work shared it with everyone who will come in contact with this piece of art. Manefo’s choice of waiting for over two decades before coming up with a solo exhibition was informed by his belief in the power of foundation for things to take their forms. He puts it subtly that: “Ambivalence is premised on the understanding that in everything there is a foundation, which is predetermined and beyond control. However, that singular foundation is challenged, pushed and pulled as we fight to define ourselves.” After all, life itself is art shaped into forms through several sub-conscious activities and other conscious efforts, tucked into positions as people want them to be. Creative director of NIMBUS Art Gallery, Lagos, Chike Nwagbogu, described Ambivalence as one of such collections that define ‘Africa’s tomorrow’ because, they are documentations of the people’s history of civilization.